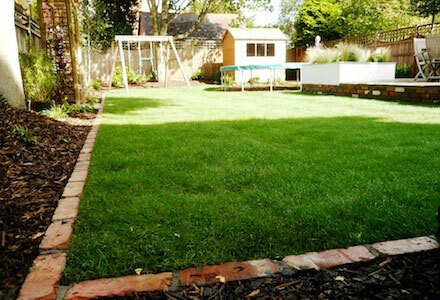 We enjoy designing large gardens, transforming large empty gardens into interesting, stylish and highly atmospheric spaces. Be it through the use of premium quality materials, expert design and planting to optimise or give the illusion of more space, or clever lighting to give ambience and highlight special features. You can really sense the life these aged bricks have had – it almost looks like the garden has been built around them. 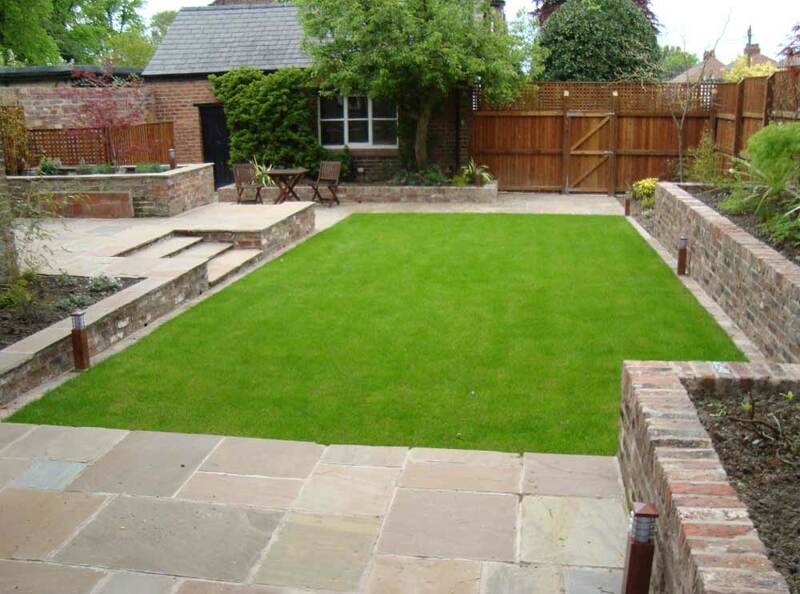 The paving also complements the brickwork, being in the same colour spectrum. 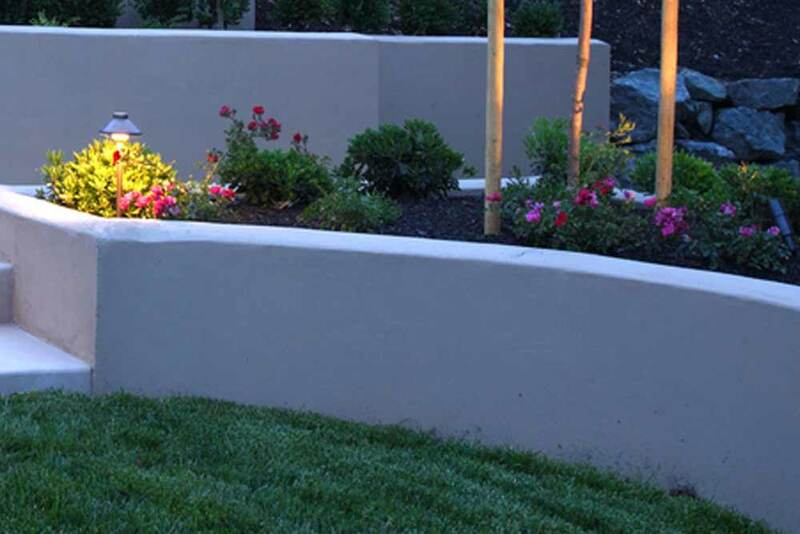 Contemporary gardens can really come to life at night – the ambience created by the reflection of light against the white rendered wall is so inviting. 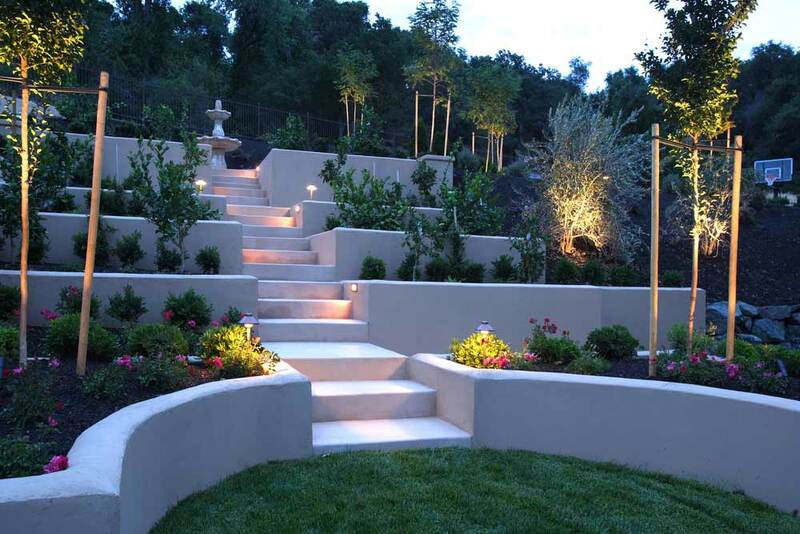 Garden lighting is much more commonly used in Australia and America, and it’s about time more people in the UK started to realise the potential of outdoor lighting schemes. The illumination of a well-designed garden can help to soothe stressed minds, and our all-too-often miserable winters can soon be forgotten with the warm, ambient glow of beautifully highlighted garden features. To raise any shape, whether it be a circle or square, is highly effective, especially when using a material such as reclaimed brick; the colour it can provide varies from a deep red to white. The paving also complements the brickwork, being in the same colour spectrum. 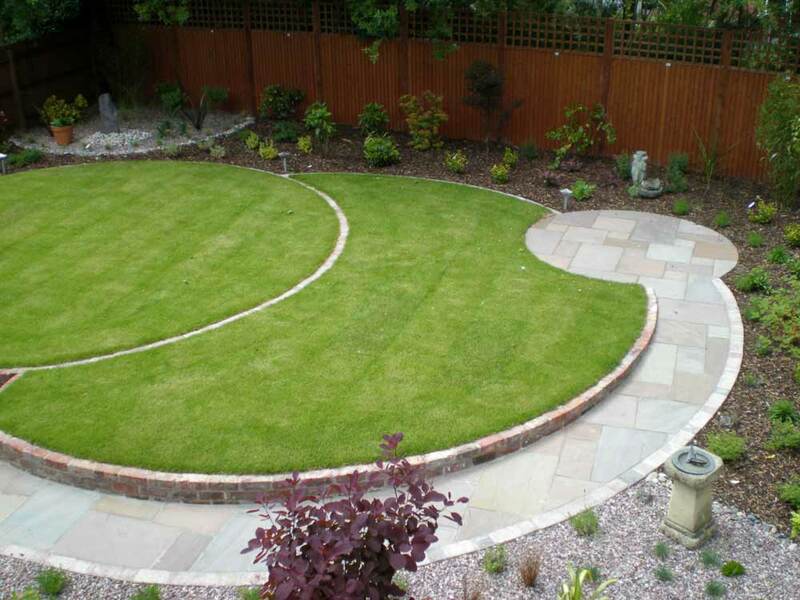 The owner of this garden had seen the first garden on this page and really liked the design so they requested a similar style but asked us to modernise the design slightly. 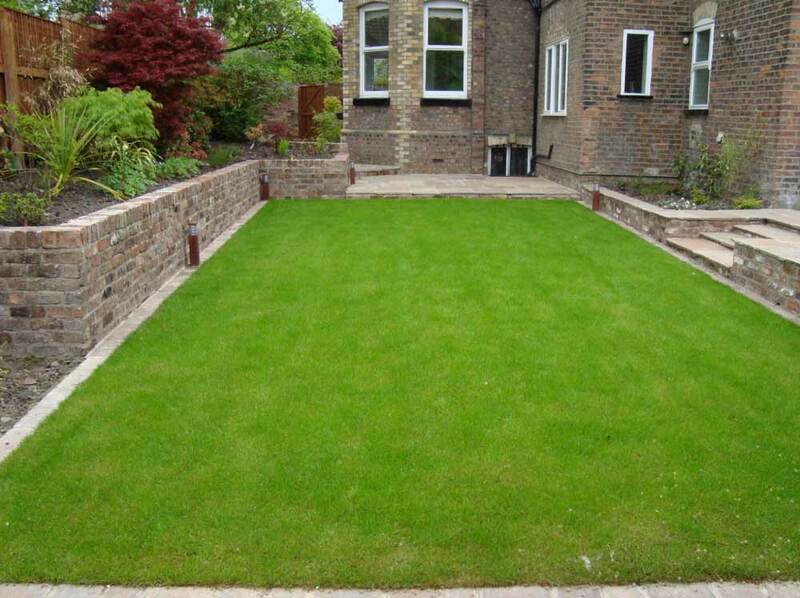 We achieved this by using calibrated stone which means that the stone is very regular, providing a more modern look. A lighter stone would have overpowered the design. 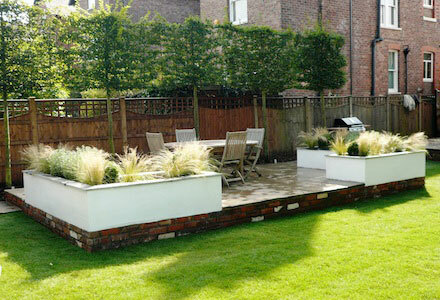 This was a challenging brief: to create a garden utilising both contemporary and rustic styles. In my mind it is like making a Ferrari front and sticking an Aston Martin on the back! The difference between the rustic stone and the rendered walls is rather unique and interesting, however, and the apple trees and grasses finish it off nicely. Overall I was pleased with this and felt the garden excelled in its meeting of the brief, though admittedly it is a very unconventional design. 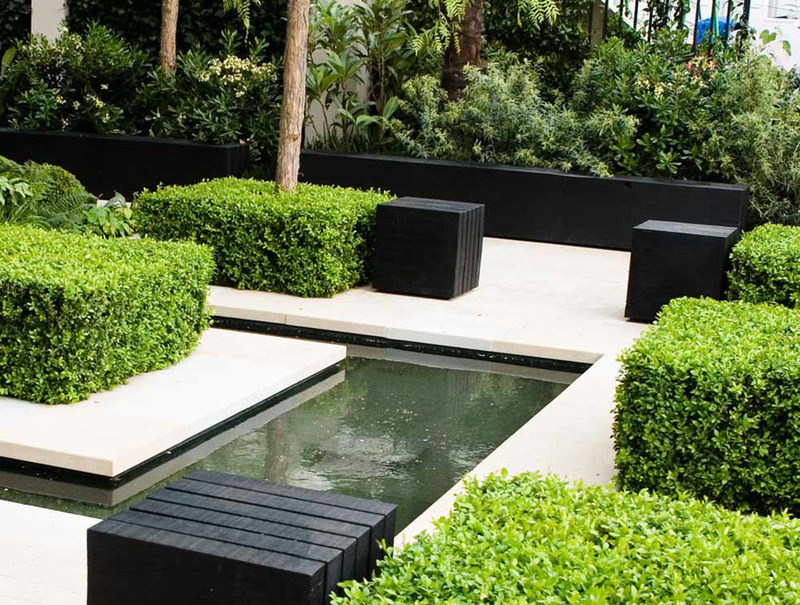 The pronounced form of this contemporary garden echoes the grand, landscaped royal estates of old. Strikingly angular topiary, accentuated by its matching islands of stone frames, evokes a feeling of controlled serenity. 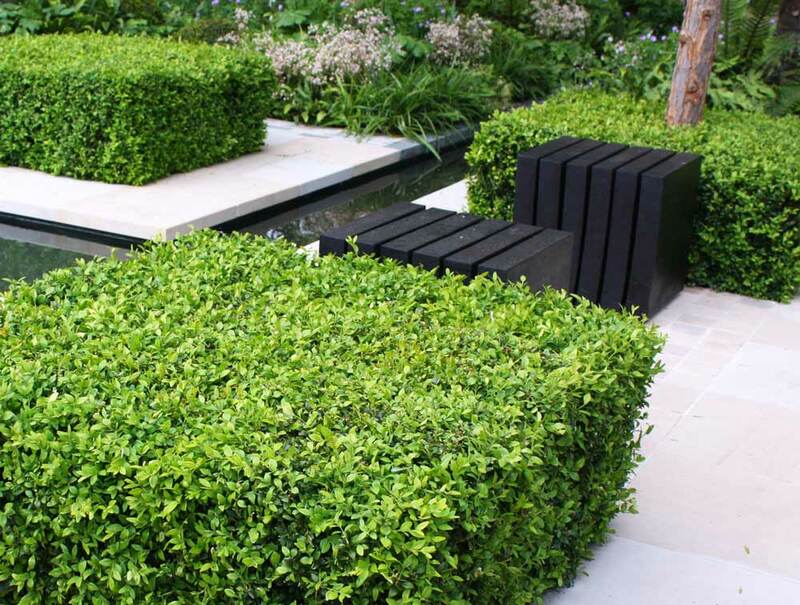 For this design a simple but tightly complementary colour scheme of green Buxus (Box) plants with cream paving was used. 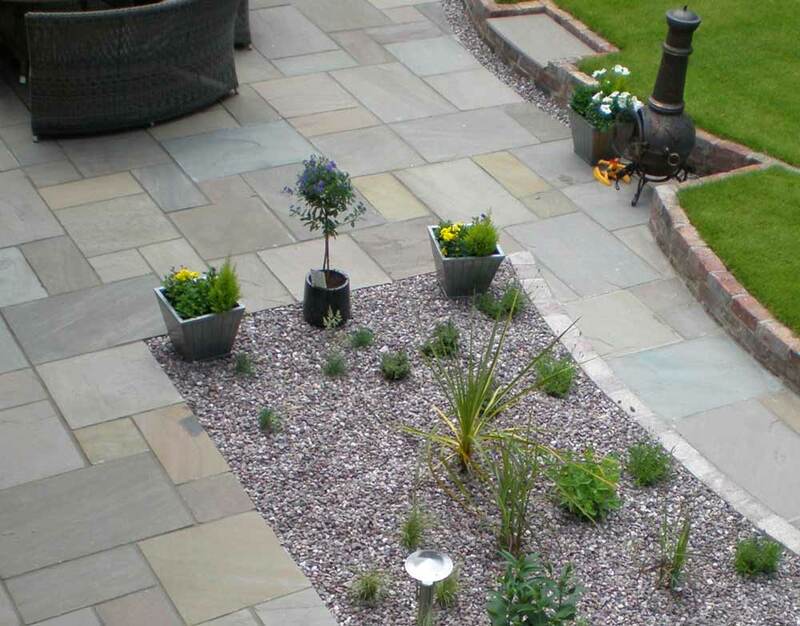 The lighter shades complement the deep, rich tones of the plants, as well as providing a pleasing contrast in texture.